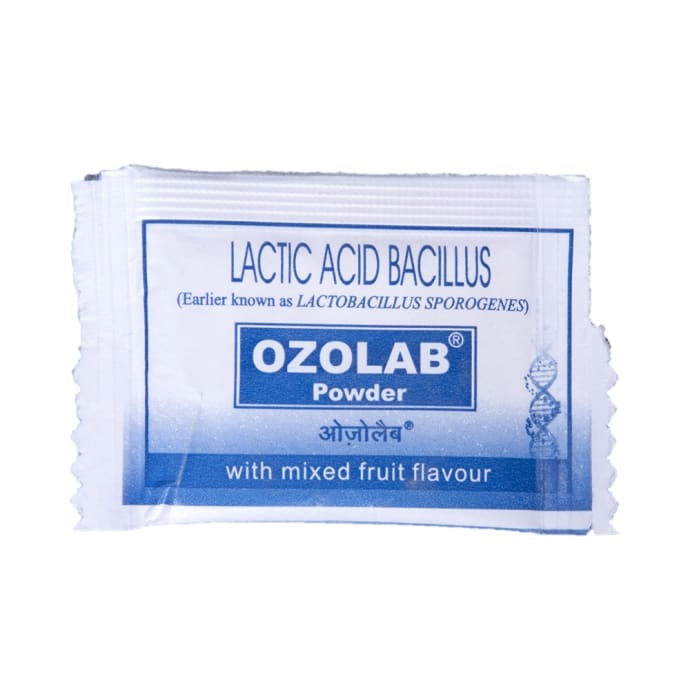 Ozolab sachet is used to treat loose stools (antibiotic induced diarrhoea) and it is also used to ease too much gas in the stomach. It is also indicated in case of digestion problems, Irritable bowel syndrome (IBS), Inflammatory bowel disease (IBD, Crohn's disease, ulcerative colitis), Helicobacter pylori infection, which causes stomach ulcers and imbalanced intestinal flora. It Fights against the growth of unwanted bacteria and helps in Immune system strengthening. Use 1 sachet twice daily.